I have been very busy these days, so busy in fact that I just don't have time to sit down and eat breakfast. I am also out and about for most of the day so each morning I make sure to feed my body decent amounts of vitamins, protein, and carbohydrates to keep me going. The time I spend preparing food each morning has to be divided between making my breakfast and preparing nutritious lunches that can sit outside of the fridge for 3-5 hours which has definitely been a challenge for me, but I can go on and on about that so for now we'll focus on the breakfast. 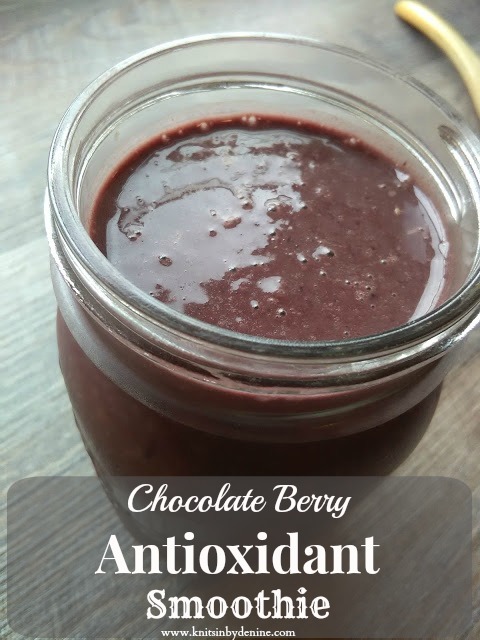 My breakfasts as of late have been a cup of coffee or tea, a bowl of oatmeal, and my go to chocolate antioxidant smoothie. 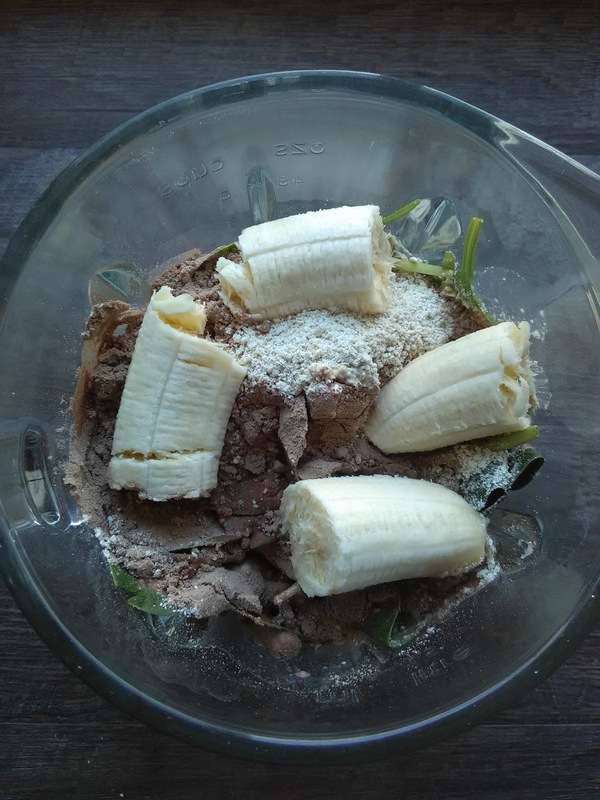 Combine your ingredients and blend! 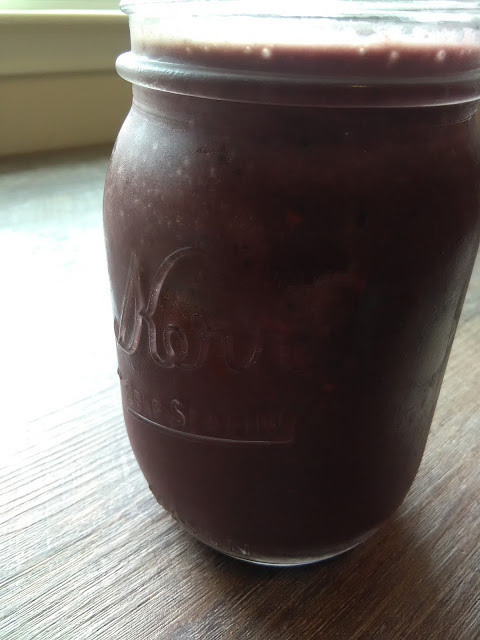 Now if you have a little extra time straining out the Raspberry and Blackberry seeds may make your smoothie a little more pleasant to drink. 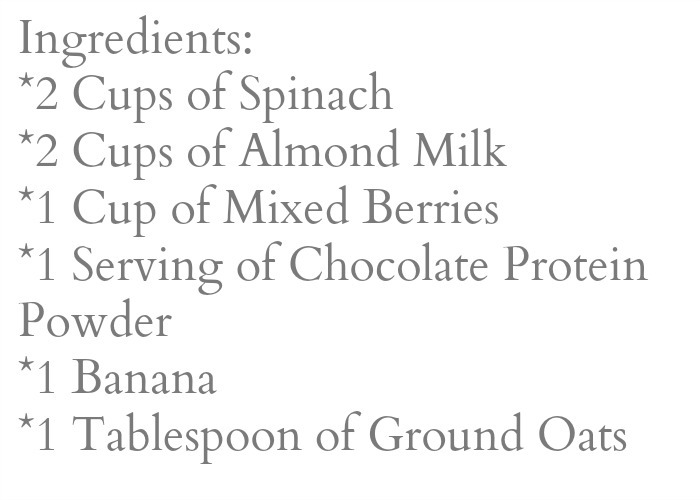 It may also benefit you to add more ground oats to your smoothie, I just have a hard time wanting to drink smoothies that are too thick so the 1 tablespoon is good enough for me. Quick, easy, and super delicious! 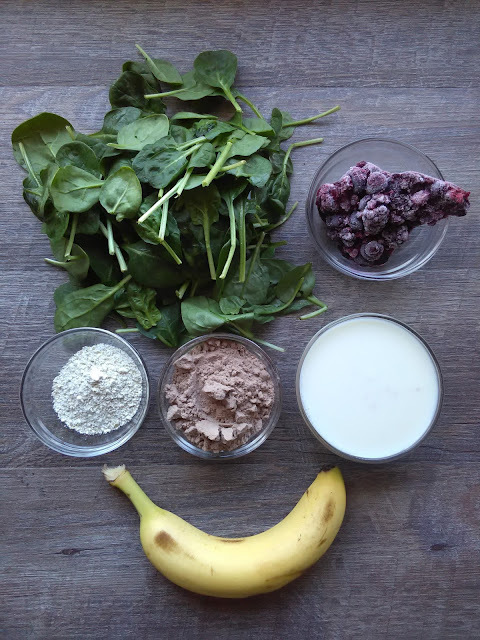 I Hope This Smoothie Helps You As Much As It's Helped Me! P.S. 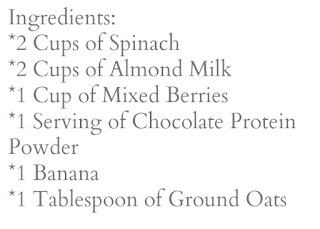 If any of you ever come across a vegan vanilla protein powder that doesn't kill what little faith you had your ability to be happy with each sip then please let me know, I'd love to try it!